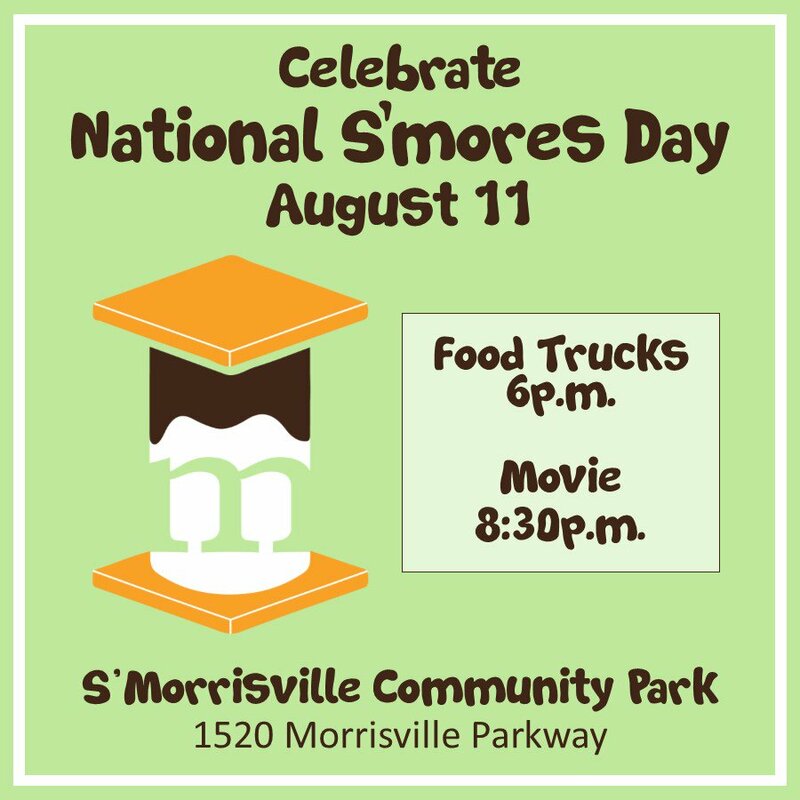 The town of Morrisville is celebrating National S’mores Day better than anyone else… They’re officially changing the town’s name to S’Morrisville for the day on Friday August 11th! To celebrate the day-long name change, they’re also having a party with food trucks, an outdoor movie, and of course… s’mores! I think we know where we’ll be this Friday night… Hope to see you there! 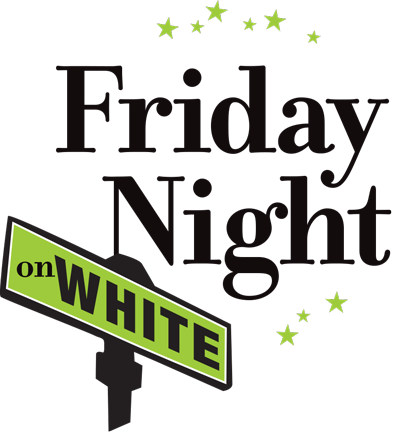 Grab your lawn chairs and blankets and head on over to Wake Forest for Friday Night on White this weekend! This Friday, Love Tribe will be taking the stage for this evening of community and awesome live music. Hosted by White Street Brewing Company, they’ll be pouring all evening because what goes better with live music than a nice cold beer? Also, be sure to visit downtown merchants who will be offering specials and activities for the evening, drop into one of the local restaurants (Downtown dining map), or grab some dinner from one of the food trucks onsite. 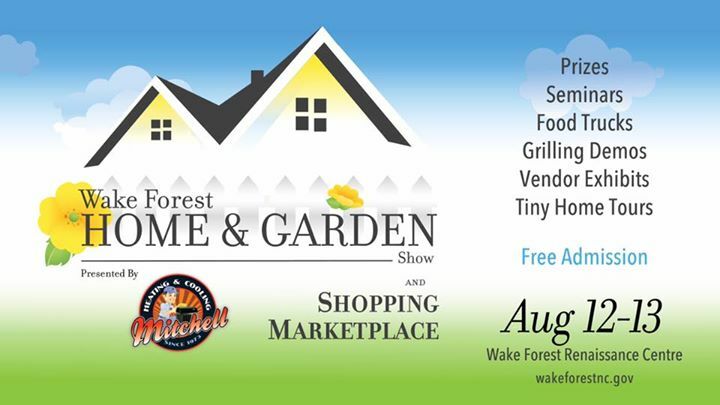 Grab your gardening gloves and head on over to the Wake Forest Renaissance Center this weekend for the Home & Garden Show! This free event will be full of home remodeling ideas, landscaping tips and tricks, and a local vendor marketplace! 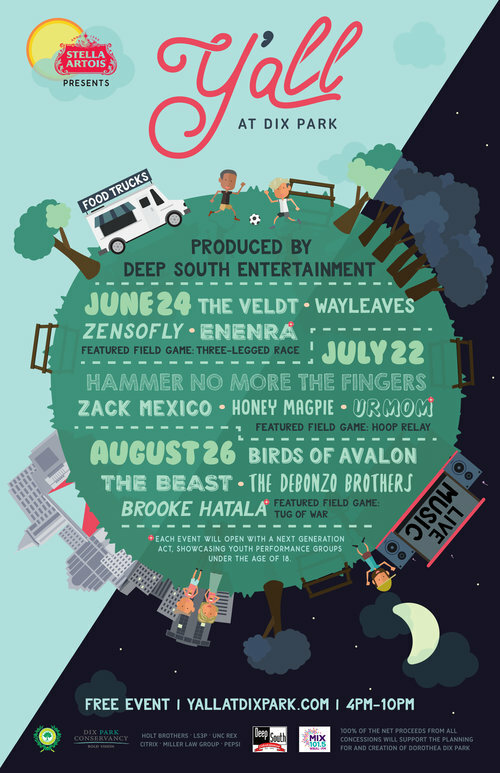 Head over to Dix Park this Saturday afternoon for this free outdoor concert series! The evening will include live local music, food trucks, beer, and fun field day games for all ages. Starting at 5:15, be ready for awesome live performances from Ivy Hill, ZenSoFly, The BQs, and The Velt! And don’t forget to bring your A Game… there will be a series of three-legged races from 4:45 until 7:30! So find your partner, practice sharing a leg, and head on over to Dix Park this Saturday!